This two storey house has two bedrooms upstairs and lounge, that opens out on to the deck. It's very sunny in the afternoon. There is a full kitchen and a dining room. Also laundry and bathroom upstairs. Downstairs is a bathroom, lounge and bunk room with two bunks - sleeping 5. 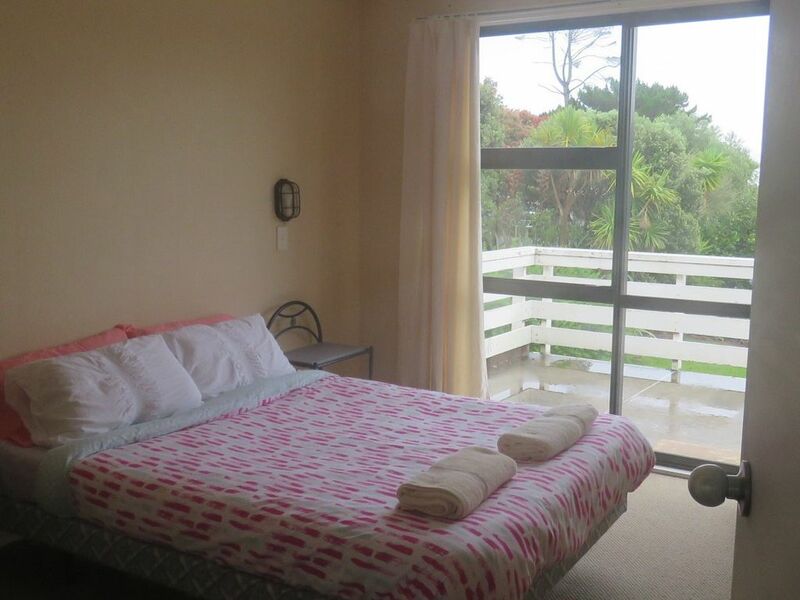 There are sweeping views of the Hokianga Harbour and sand dunes, from the deck. Outdoor furniture allows you to sit out in the evening and enjoy the sunset, while enjoying a cold glass of wine or beer.